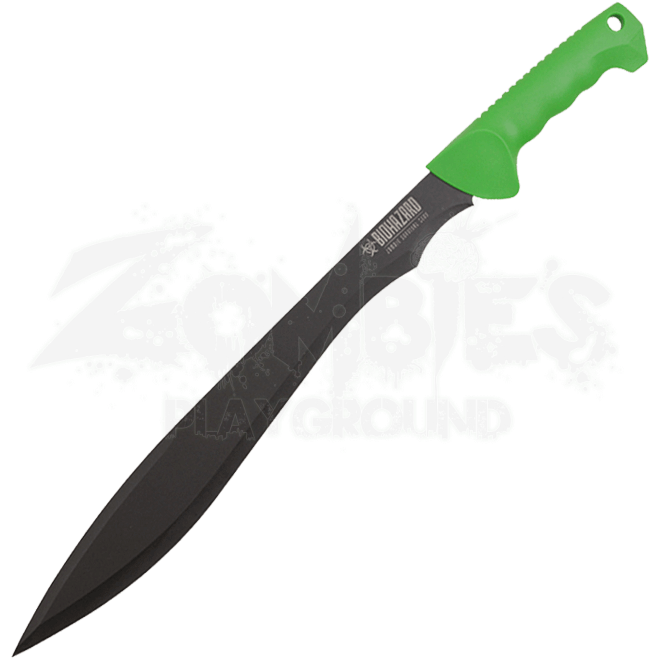 For the completion of outdoor chores and the annihilation of zombie hordes, trust the utility and strength of the Green Biohazard Survival Machete. It is a great assist against the daily tasks and hazards of a post-apocalyptic world. The chopping power and durability of the full tang blade allow its wielder to complete a wide variety of tasks. With its black finish and neon green handle, the machete matches a dystopian setting. The textured grip reduces slippage, supporting swift, precise cutting. A nylon sheath is included for safe and convenient storage.